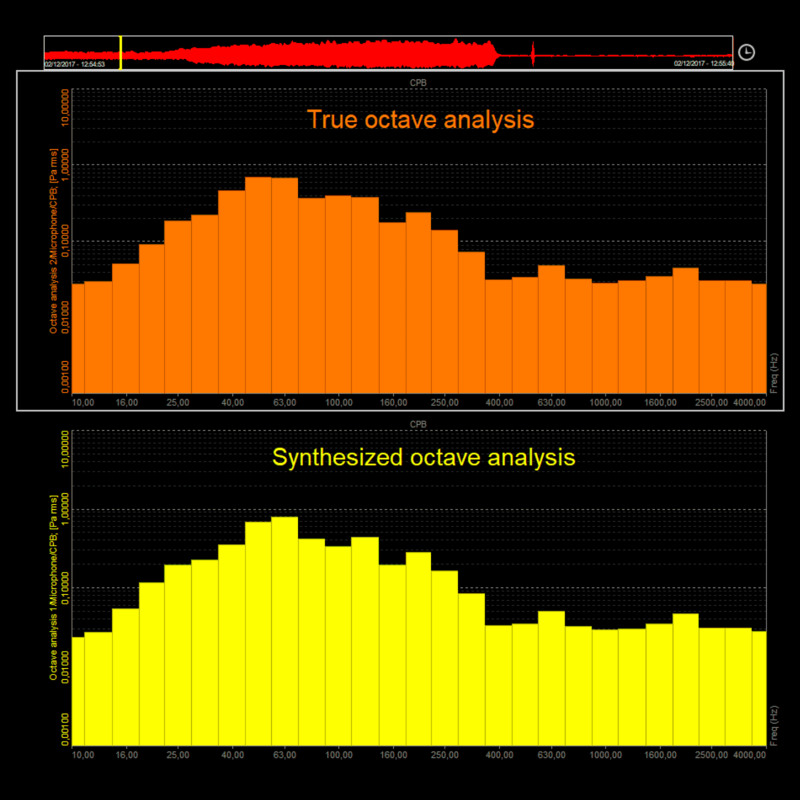 Octave analysis is an indispensable tool for sound measurement because it gives a close approximation of how the human ear responds. 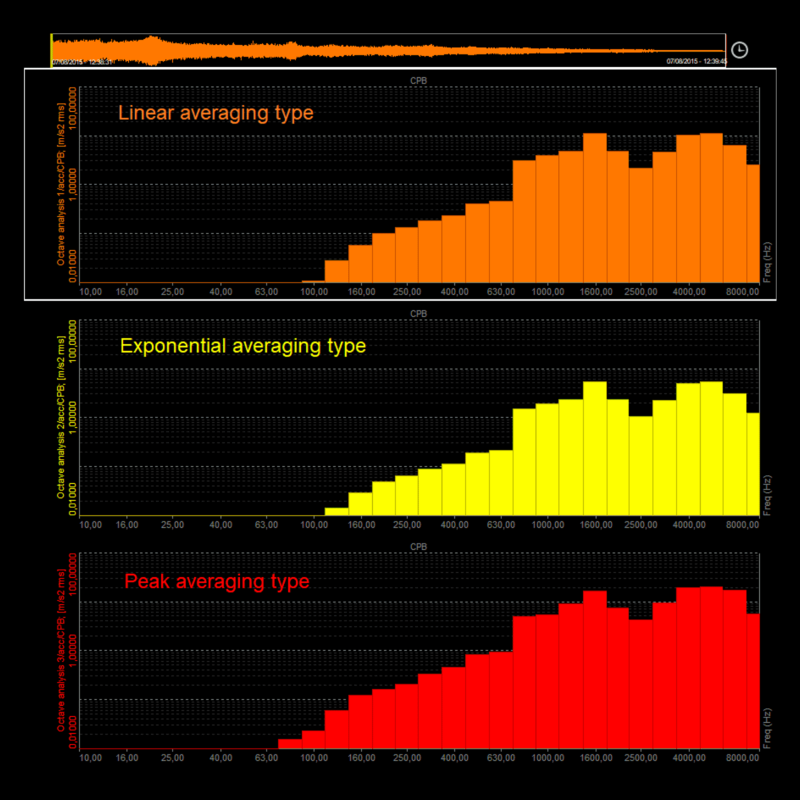 Dewesoft octave analysis solution meets all of the IEC and ANSI specifications for octave filters. CPB filter is a filter whose bandwidth is a fixed percentage of a centre frequency. The width of the individual filters is defined relatively to their position in the range of interest. The higher the centre frequency of the filter, the wider the bandwidth. The widest octave filter used has a bandwidth of 1 octave. Many subdivisions into smaller bandwidths are often used. The filters are often labeled as “Constant Percentage Bandwidth” filters. 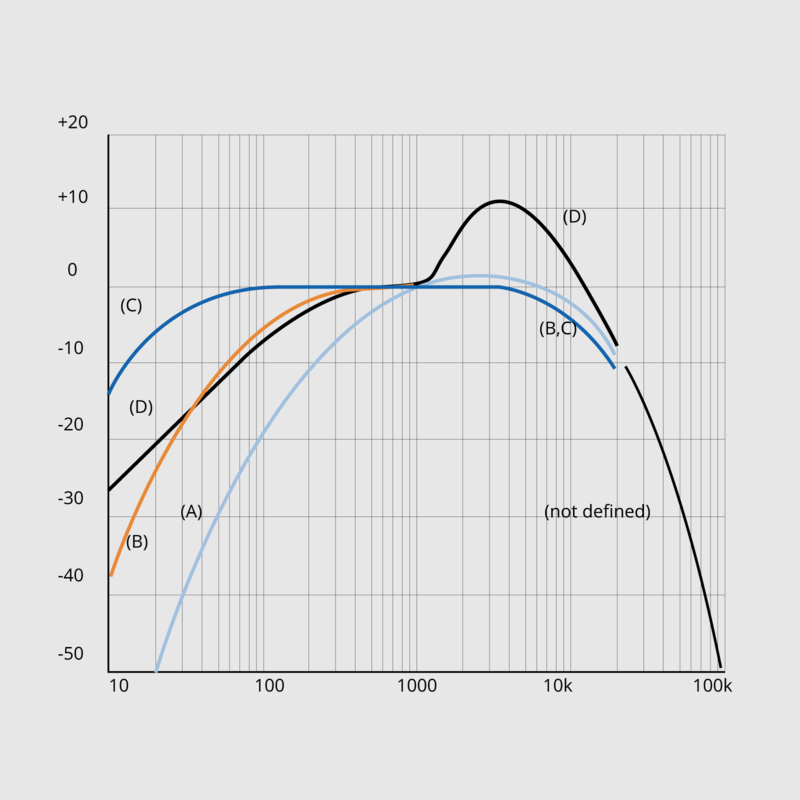 A 1/1-octave filter has a bandwidth of close to 70% of its centre frequency. 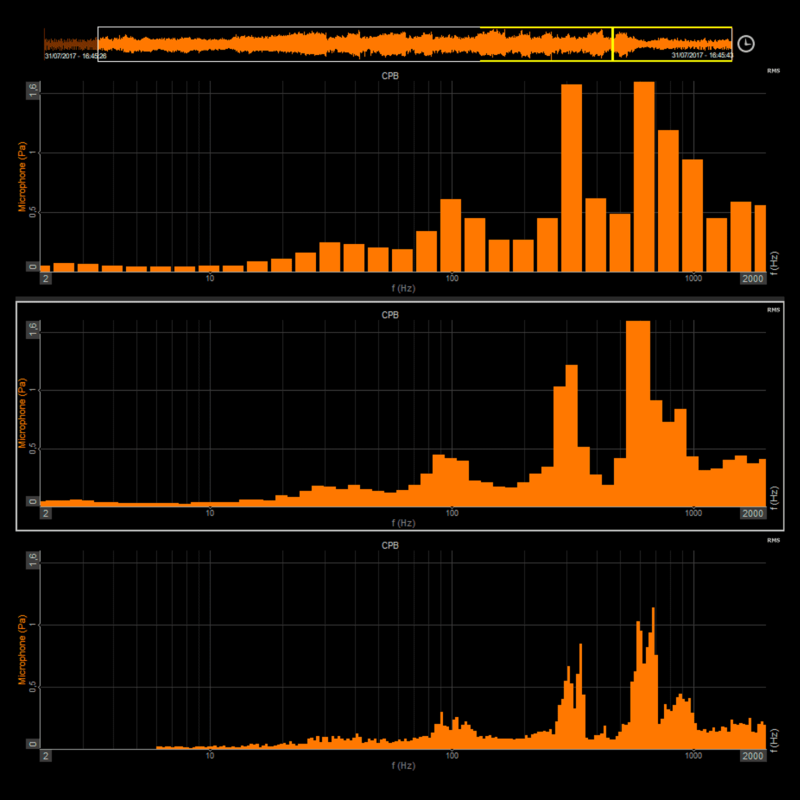 The most popular filters are perhaps those with 1/3-octave bandwidths. One advantage is that this bandwidth at frequencies above 500 Hz corresponds well to the frequency selectivity of the human auditory system. DEWESoft supports up to 1/24-octave bandwidth. Uses filter sets as in analog octave analyzers. One of the main advantages is that we can really see the dynamic behavior of the input data. Calculated using FFT as the base and is updated when every FFT is being calculated. 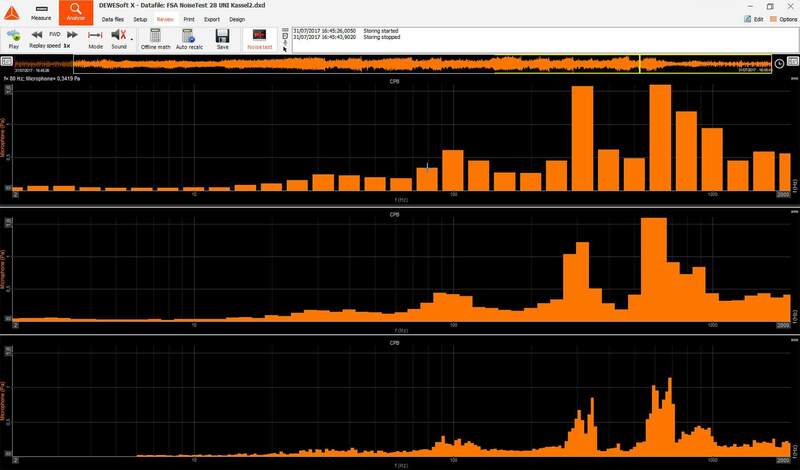 Frequency weighted noise measurements offer standard ways to measure sound, and we use each of these frequency weightings for different types of measurements.